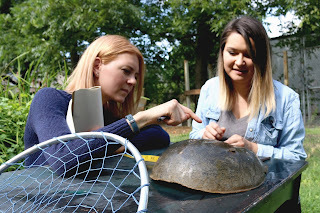 GREENSBORO, N.C. -- The National Science Foundation (NSF) has awarded a Phase I Small Business Innovation Research (SBIR) feasibility grant to Kepley BioSystems (KBI) for a novel approach to Limulus amebocyte lysate collection from Atlantic horseshoe crabs (HSC, Limulus polyphemus). As a start-up committed to developing disruptive innovations to address global challenges, KBI proposed methods for easing a myriad of pressures on wild HSC populations at prospective Coastal Georgia sites. To comply with FDA sterility testing protocols, hundreds of thousands of wild HSCs are captured for the biomedical industry to extract a unique component of their blood and then return them to the water every year. Nearly as many are also captured and used for whelk and eel fishing bait. As a keystone species, migrating shorebirds also depend on their eggs as essential nutrition en route to northern nesting grounds. And, imminent extinction of the Asian HSCs (Tachypleus tridentatus) poses additional threats to the Atlantic HSCs due to growing demand from companies that had used Asian HSCs for sterility testing when previously more plentiful. KBI highlighted these and other factors impacting HSC viability in the recent article, “The Role of Horseshoe Crabs in the Biomedical Industry and Recent Trends Impacting Species Sustainability” (Krisfalusi-Gannon, et al, Front. Mar. Sci. 05 June 2018). The lead authors were also NSF-sponsored, undergraduate interns working with KBI in 2016, and one of them has remained on the team conducting initial HSC studies funded by a NOAA Sea Grant.